June 29 – The Indonesian leadership highly values the performance characteristics of Russian military products, Russia’s Ambassador to Indonesia Mikhail Galuzin told on Tuesday. 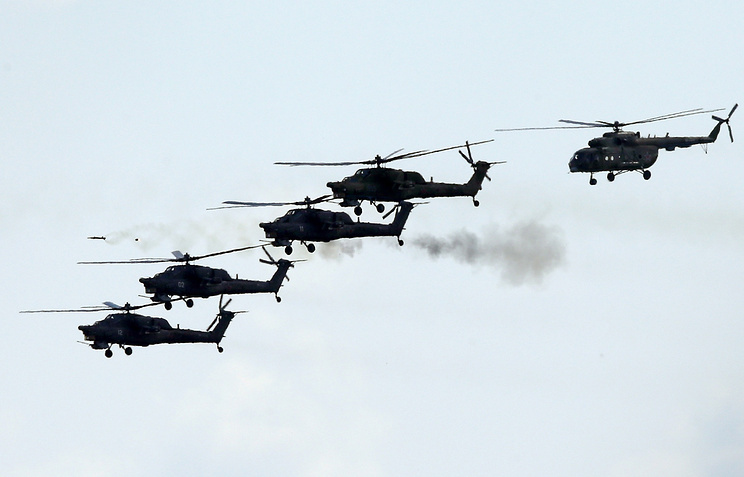 “Indonesia, like any other state caring about the protection of its sovereignty and territorial integrity, is interested in maintaining and strengthening its defense capability and for this purpose modern and well-equipped… armed forces are needed,” the Russian diplomat said. “As the Russian ambassador, I can say that I’m very glad and very proud that today the Indonesian armed forces operate advanced examples of Russian military hardware. 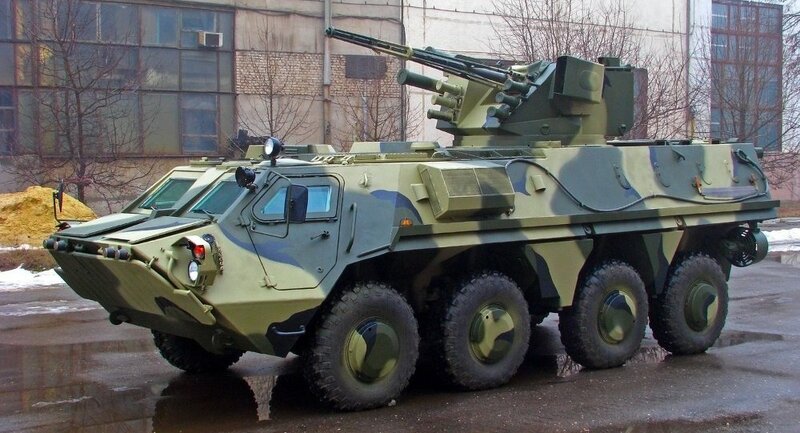 For example, these are Su-30 and Su-27 multirole fighter jets or BMP-3F infantry fighting vehicles intended for the Indonesian marine corps,” the ambassador said. The Indonesian political and defense leadership “highly values the performance characteristics of Russian military products,” the ambassador said. “We have seen together with you a lot of public statements by representatives of the Indonesian Defense Ministry about their interest in buying particular types of Russian military hardware, in particular, Su-35 fighter jets,” the Russian ambassador said. “We, as the diplomats, will continue doing everything possible to ensure that military and technical cooperation between Russia and Indonesia should develop further to the mutual benefit of both sides. I can say that there are pre-requisites for this,” the Russian ambassador said. The sphere of ensuring security, both regional and global, “is a very promising sphere of Russian-Indonesian relations,” he added. “We’re actively interacting in the sphere of anti-terror, including the training of representatives of the corresponding departments from Indonesia and other ASEAN countries in Russia with the help of our specialized agencies. This also involves information exchange and corresponding consultations,” the Russian ambassador said. Indonesia will not receive the first batch of Russian Su-35 multirole fighters earlier than in 2018 due to the overload of the aircraft’s sole manufacturer with domestic and international orders, media reported Wednesday, citing a source in the Russian Defense Ministry. 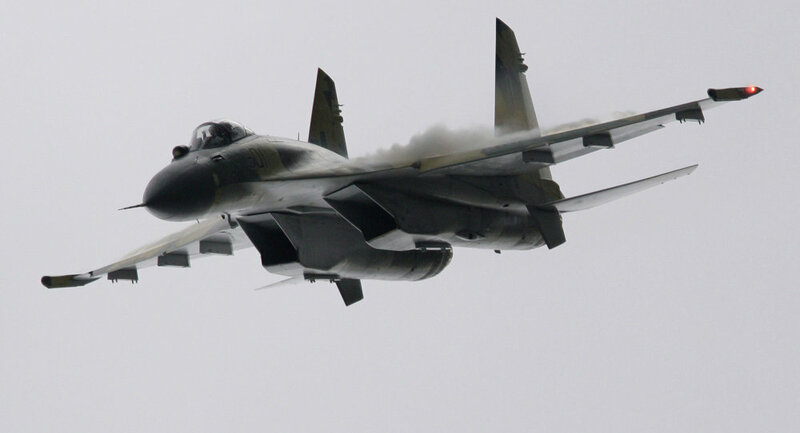 MOSCOW (Sputnik) — Earlier in March, Indonesian Defense Minister Ryamizard Ryacudu announced Moscow and Jakarta would sign in April a contract for the delivery of 10 Russian Su-35 Flanker multirole fighter jets to replace Indonesia’s fleet of F-5 Tigers. The manufacturer had produced 14 Su-35, several Su-30МК2 aircraft for Vietnam and modernized Su-27 in 2015, the Russian Izvestia newspaper reported. “Today, a full transition of the enterprise to the production of modern Su-35 is on the agenda. However, this will not affect the queue. The plant is due to produce 50 aircraft for Russia’s Aerospace Forces within five years, and 24 for China. Indonesians could expect to receive two jets in 2018 in a best-case scenario,” the source told the newspaper. The Su-35S is a 4++ generation one-seater, an upgraded version of the Su-27 multirole fighter with features comparable to a 5-generation aircraft. It is characterized by supermaneuverability and is equipped with new avionics, a modern radar and advanced engines. It can accomplish incredible tricks without deceleration and can fly at a speed of 2400 kmph, outpacing all rivals in its class. The warplane is armed with 30mm guns, a huge number of missiles and rockets. A squadron of Russian 4++ generation supermaneuverable multirole jets will reinforce Indonesia’s air force. Moscow and Jakarta will sign a contract in April for the deliveries of 10 Russian Su-35 Flanker multirole fighter jets to replace Indonesia’s fleet of F-5 Tigers, the Jakarta Globe reported Friday. “We need a squadron of the jets, but for the first phase it will be 10 jets,” Indonesian Defense Minister Ryamizard Ryacudu was quoted by the Jakarta Globe as saying. Indonesia currently has 16 F-5 fighter jets that entered service in 1980.Four Su-35s have been deployed to Syria amid Moscow’s counterterrorism campaign. 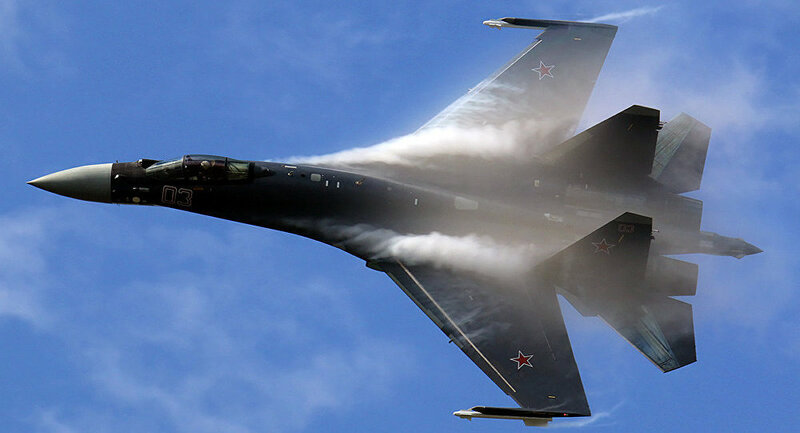 The 4++ generation Su-35 is characterized by supermaneuverability and has features of a 5-generation aircraft. The fighter has new avionics, a modern radar and advanced engines. It can accomplish incredible tricks without deceleration and can fly at a speed of 2400 kmph, outpacing all rivals in its class. The warplane is armed with 30mm guns, a huge number of missiles and rockets. In January, Russian Minister of Industry and Trade Denis Manturov said he hoped that his country would maintain the turnover with Indonesia in 2016 at around $2 billion. According to the minister, the bilateral projects between the sides could in the future include building a shipyard in Indonesia. 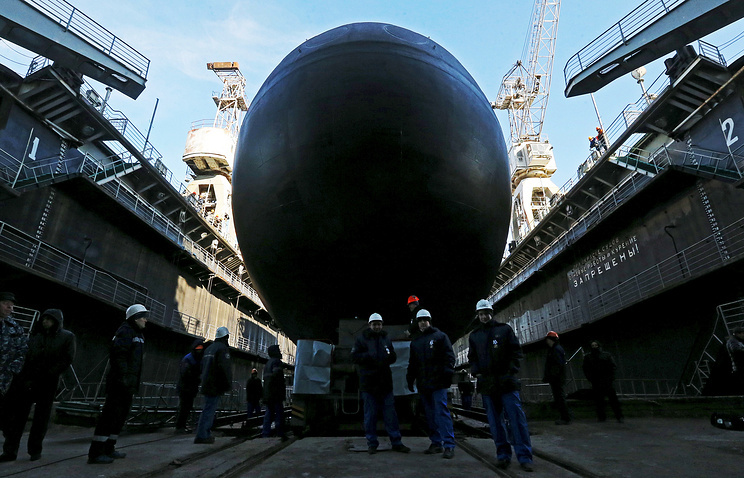 Russia’s United Shipbuilding Corporation has been holding talks with Indonesian companies over the issue, Manturov said. Last month, a source in the Russian defense industry said that Indonesia planned to buy four Beriev Be-200 amphibious planes from Russia, adding that a contract could be sealed shortly. Indonesian Air Forces’ Chief of Staff Agus Supriatna announced last November that Jakarta wanted to add the Russian amphibious planes to its air fleet after two Be-200 aircraft from the Russian Emergencies Ministry helped combat widespread forest fires on the Indonesian islands of Sumatra and Borneo last year.